Thomas Wills is a policy adviser at Traidcraft Exchange. However, in drafting this law MEPs and member states haven’t quite grasped the climate of fear in which smaller suppliers operate, and this could seriously hamper the legislation’s effectiveness. Food supply chains are a modern wonder, bringing fresh food from around the world onto our tables. Farmers, hauliers, processors, brands and retailers all play a crucial role in making this happen. However, this doesn’t mean that everyone is pulling in the same direction: big players are subjecting their smaller trading partners to abusive terms. Hundreds of thousands of farmers, growers and small food businesses around the world sell their products to a handful of huge retailers and brands that dominate the European market. 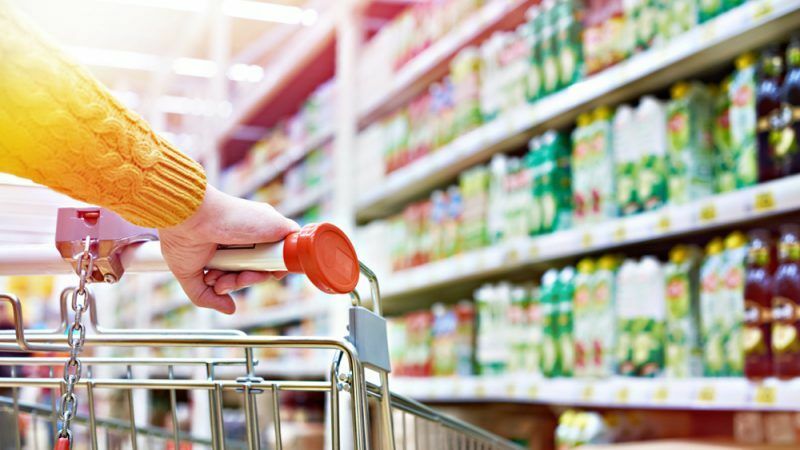 The largest ten supermarkets in the EU account for more than 30% of total groceries sales whilst the products of big food and drink companies from Nestlé to Unilever to Heineken are ubiquitous. This means that they can bully, fail to pay on time and cancel orders at the last minute while their suppliers are in an impossible position: terrified to complain, and with few other potential buyers. The choice between impoverishment and accepting unfair terms of trade or losing their largest customers and risking bankruptcy is no choice at all. Oxfam Italy’s recent “At the right price” campaign is a stark reminder of this, showcasing the dire conditions of the workers behind a lot of the fruits and vegetables on our supermarket shelves. The UTP Directive is a very welcome initiative aimed at stamping out bullying practices and rebalancing power. However, unless four key changes are made the EU risks establishing lame duck regulators. The Directive mandates the establishment of ‘Enforcement Authorities’ in each member state that can hear complaints from suppliers and investigate on their behalf. But this isn’t enough. A recent survey of suppliers to UK supermarkets found that half of the respondents are reluctant to raise a complaint with the UK regulator, with the most common reason being the fear that they would be identified by the buyer and suffer commercial retribution. If the EU is serious about tackling UTPs, it must ensure that organisations with public interest objectives are able to file complaints on behalf of suppliers. This is particularly important for suppliers in countries where they do not have the support of a well-functioning union or producer organisation. Second, for the same reason, the UTPs directive must make it absolutely clear that complaints are received in confidence, and that the identity of a supplier making a complaint can only be revealed at the request of the supplier themselves (if, for example, they wish to claim compensation from a buyer). Any lack of clarity on this issue will mean that enforcers will struggle to even hear about the kinds of practices that they are supposed to be dealing with. Legislators also need to avoid treating the agreement between buyer and supplier as a sure-fire indication of a fair negotiation. At the moment, the Directive lists four ‘grey UTPs’: practices that are unacceptable unless the supply agreement specifies otherwise. These include suppliers paying for the marketing and promotion of the buyer’s products. But the same power dynamics that gave rise to UTPs in the first place also allow the most powerful buyers to dictate the terms of the supply agreement to their absolute advantage. To ensure that this Directive brings about fairer practices, these ‘grey UTPs’ should be banned where the supplier is economically dependent on the buyer (regardless of what it says in the supply agreement). The concept of economic dependence exists in EU competition law, as well as in French and German law, and would ensure the protection of smaller businesses in supply chains. And finally, the context in which big buyers operate also needs to be understood. In most cases, they are established in a number of Member States, with supply chains that cross borders many times. National enforcement authorities that meet only once a year and have no obligation to pursue a shared interpretation of the law seems an entirely inadequate solution: there will be nothing to stop buyers shifting their functions to the jurisdiction with the weakest sanctions. The European Parliament has understood this and has proposed the establishment of a Union Enforcement Network that would ensure that the various enforcement authorities are properly coordinated. This is consistent with the BIICL proposal for how anti-UTP enforcement on the EU food supply chain might work in practice, based on an international comparative analysis. Action to tackle unfair trading practices could have a hugely positive impact on those farmers and workers around the world who produce our food. But to be truly effective, this legislation needs to consider how to guarantee a voice to the weakest parts of the supply chain while ensuring that member states are properly coordinated in tackling the most exploitative trading practices.